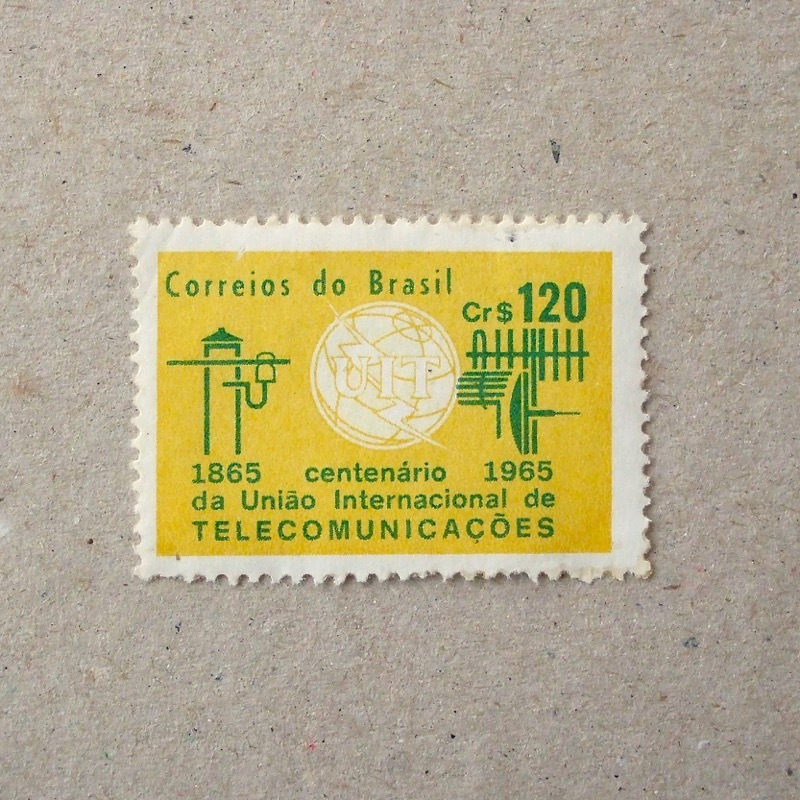 Seeing the top left hand corner of the previous stamp, I remembered this one – a Brazilian stamp which has the same UIT logo with the globe. Yes, they were issued for the same centenary and this colour combination of bright yellow and green reminds me of cheerful Brazilian music. 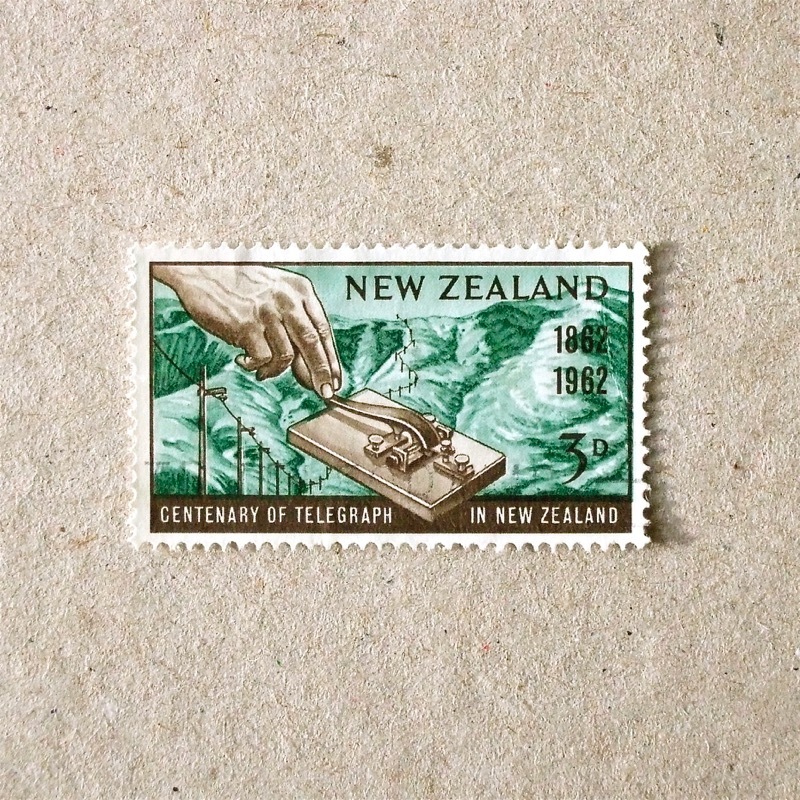 The last stamp which is showing a Telegraph key – this one shows the history of telecommunications, all-in-one. The aerial in front of the dome is called a Helical antenna, which was built for High frequency radio communications before the usage of satellites. I like this way to apply the traditional printing method of intaglio, for picturing the historical and the latest technology, together with lots of stars ( and satellites ) in the sky. Designed by the same engraver as this stamp, one of my top favourites.